The Just A Card/Top Drawer Experience! 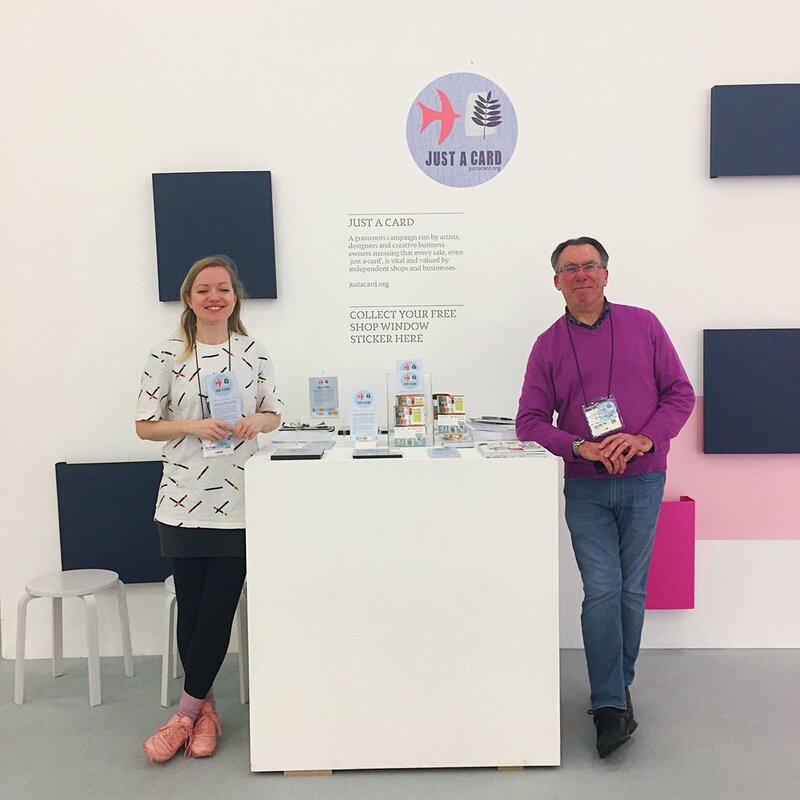 As I mentioned in my post last Monday, the Just A Card team had the amazing opportunity to take our campaign to the Top Drawer trade fair at London Olympia. Here are a few shots from my day there on the Monday. It's fair to say that we were all pretty tired afterwards, but we had a very successful event, handing out shop stickers and spreading the word far and wide! 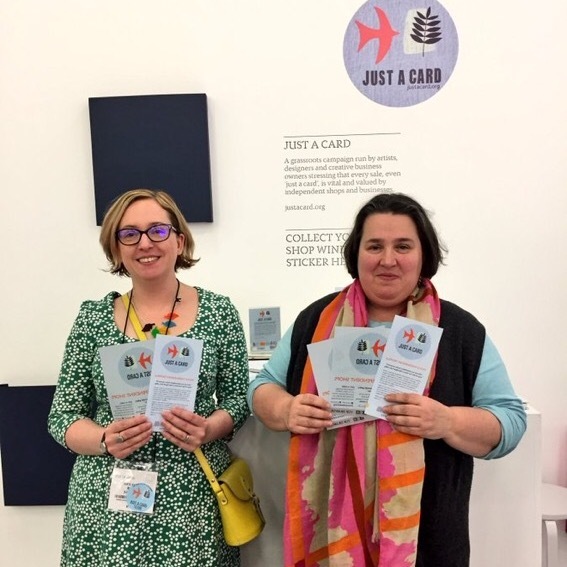 Head over to the Just A Card website and join our mailing list to be the first to find out about upcoming events and plans (and to see how you can support us too!). If you came along to say hello (and some of my blog readers did - hello!) thank you very much! The flyers, the window stickers and Sarah's book! Thanks to Printed.com for dontating the stickers and flyers.